Hi friends! Today I'm sharing with you projects I made using the Glittered Greetings kit from my March Paper Pumpkin! I'm so excited because this kit had more products in it than previous kits...yay! And anything that has glitter in it can't be bad...right? 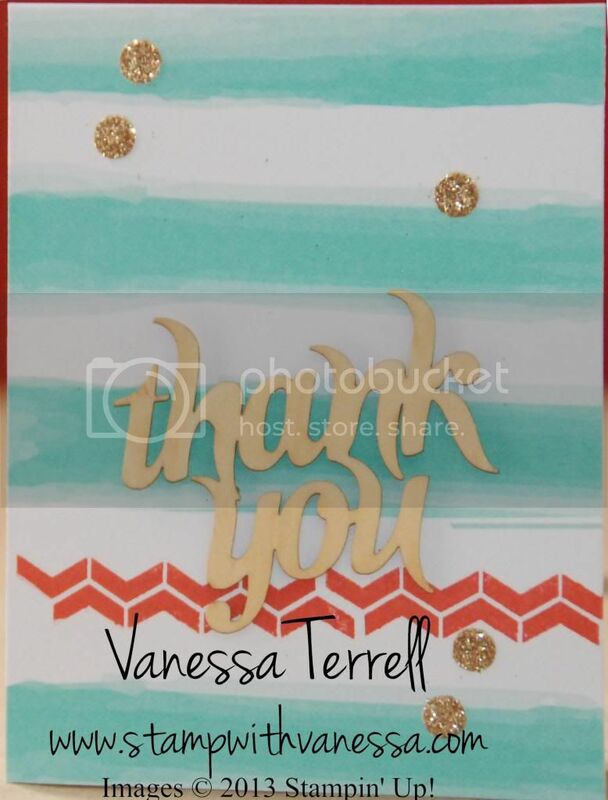 This was a fun kit this month it was quick and easy and it makes 8 cards that say Congrats or Thank You...and it had some fun accessories in it. 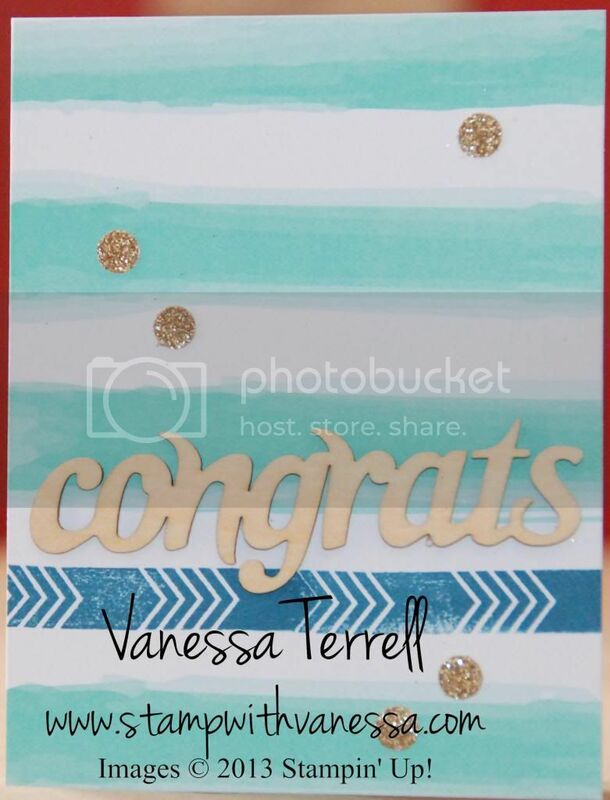 Champagne glitter dots, Gold foil envelope liners, Die-cut wooden accents (Thank You and Congrats) and some bold Coastal Cabana printed designer paper cards, ink spots in Island Indigo and Calypso Coral and Envelopes! So here's what two of my finished cards look like. 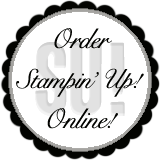 Let me know what you think...there's still time to get your own Paper Pumpkin subscription and get a pack of FREE In Color Markers ($14.95 value for joining).